Summary: There might be many UHD disc ripper tools available in the market, but DVDFab UHD Ripper is the best 4k Blu-ray ripping software available in the market for ripping UHD disc to any lossless formats such as MKV. Let’s go to check. UHDBlu-ray means 4K Ultra-HD Blu-raywhich is a type of data storage format that will take the place of Blu-ray. The Ultra HD Blu-ray discs are not compatiblewith the Blu-ray playersbecause the players don’t support 4K UHD at 60 FPS. So, notall players can play UHD Discs. 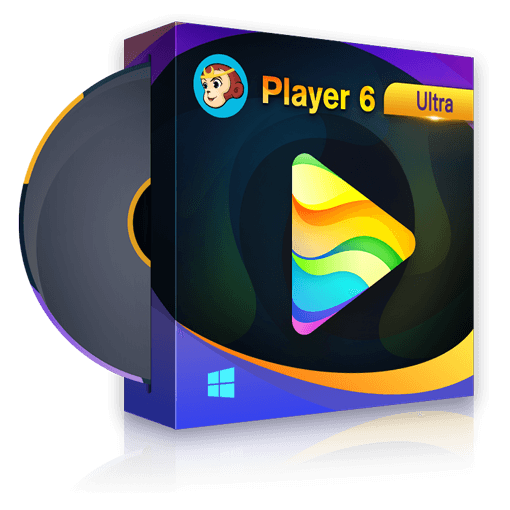 Therefore, UHD disc ripper software tools can be used to rip them to a different storage format and play on any media player. There might be many UHD disc ripper tools available in the market, but DVDFab UHD Ripper is the best 4k Blu-ray ripping software available in the market for ripping UHD disc to any lossless formats such as MKV. The process is so seamless that you don’t even need any technical knowledge for doing this. · 6 different conversion profiles (MKV Passthrough, M2TS Passthrough, MKV.4K.H265.10bit, M2TS.4K.H265.10bit, MP4.SDR, and MKV.SDR) for different users’ requirement. Some are even lossless formats which don’t lose anything, and quality is exactly the same. But, if you want to go for other formats, you can choose them as well, and they also offer good video quality but since they are not lossless, some degrade in the quality is possible. Sometimes, the degrade is unnoticeable; that means you can still enjoy the awesome video quality. · This 4K UHD Ripper preserves the HDR10 quality even after ripping which means you are going to enjoy the awesome video quality. · In the 4K UHD Blu-rays, the media content is more therefore ripping may take a lot of time but with DVDFab UHD ripper, you don’t need to worry as this UHD disc ripperequipped with Hardware Acceleration technologies that make sure to reduce ripping process time. But, for the hardware acceleration to work properly, you must upgrade your PC with a graphics card which can do 4K HEVC 10-bit encoding and decoding. · When you rip 4k UHD Blu-ray to any some digital video formats, you can watch that video to any normal player, and even the hardware 4K UHD players such as DVDFab Movie Server which gets the video from a USB drive and plays without any problems. How to Rip 4K UHD Blu-ray Using DVDFab UHD Ripper? Every Module of DVDFab 10 is very simple to use, and you won’t find it tough, and so is with this 4K UHD Ripper. Here is the step by step guide to rip 4K UHD Blu-ray. First of all, launch DVDFab 10, and when it is launched completely, you will see the main page of it. There click Ripper. Now, click the big + icon to load the source file which can be from the UHD disc or UHD ISO file. Let’s load an ISO file of the same. In a few seconds, it will be loaded in the software. Now, as the source is loaded,MKV Passthrough profile gets selected automatically. However, you can click to profile switcher, and choose other profile if you want. For this, you need to click profile switcher and untick “Passthrough”. You will be able to see different profiles there. Now you can select any of your choice. We are keeping MKV Passthrough only for now. In the next step, you can Customize the video the way you want by using the options Advanced Settings, and “Video Edit”. You can edit the settings as per the requirement. Alternatively, you can leave the options as it is as well, and click OK to close this pop-up window. As you can see there are so many options such as Trim, Crop, Watermark, etc. you can use these to customize your video, and click ok to save and close the pop up window. If you edit all of these, your output video will be better customized. As you click Start, you will see the processing window. It will take some time to finish up the ripping process. The duration depends on the size of the source file. As it completes, you will get the confirmation. Now, you can find the output video in the directory you have set. DVDFab UHD Ripper makes everything easy to rip UHD blu-rays seamlessly. As you see in above steps that you don’t need any technical skill to do it. Just load the source, customize your output video which is optional, and lastly select the output location, and rip it. Due to the seamless ripping process this is the best 4K UHD Blu-ray Ripper in the market. A powerful UHD player software lets you enjoy your UHD sources in an immersive way. Read the article to check the top 5 best UHD player software. DVDFab Media Player is an excellent 4K player that can play any DVD, Blu-ray with its native navigation menu and play videos in any formats including 4K videos freely.